Combine form and colour just as you wish. 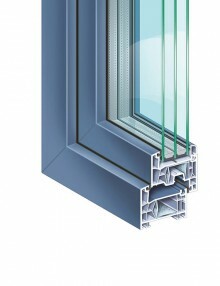 The standard version comes with an extensive range of profiles and surface variants. 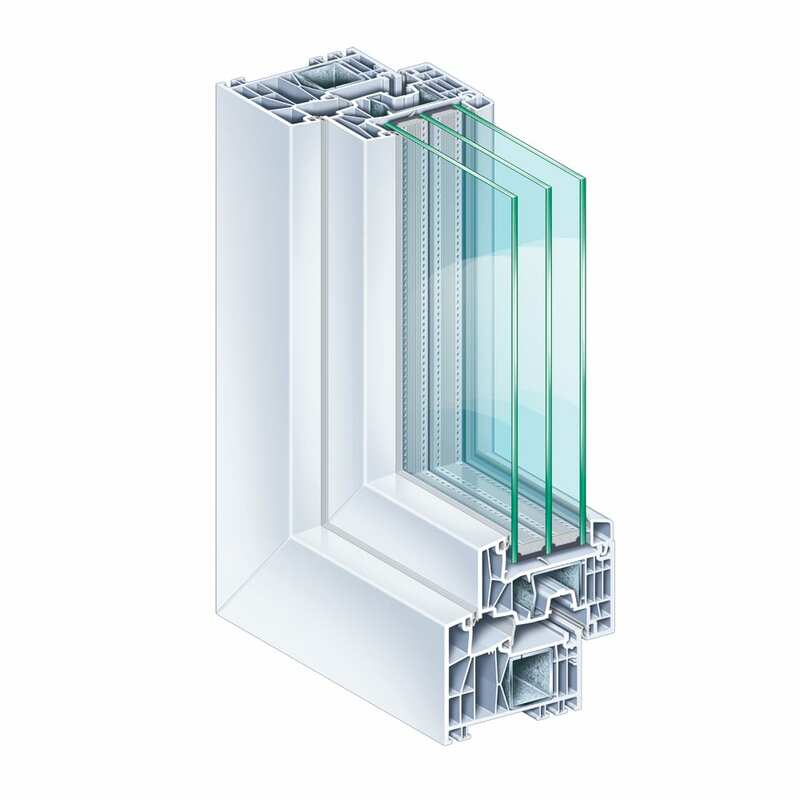 The system is available in white, woodgrain laminates, or plain or metallic colours – laminated on the outside and white on the inside, or laminated on both sides. SKU: 122. 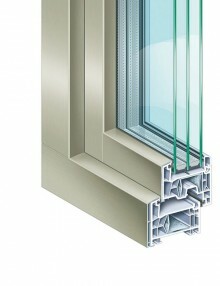 Categories: Köemmerling, PVC profiles, Windows and Doors. Tags: 88mm, Kommerling, PVC. 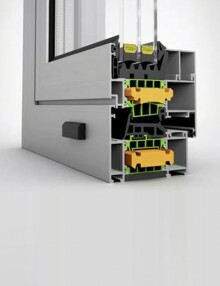 When fitted with the corresponding functional glazing, even the standard version of KÖMMERLING 88 achieves the fastidious thermal insulation targets for passive houses – Uf = 0.95 W/(m2K). 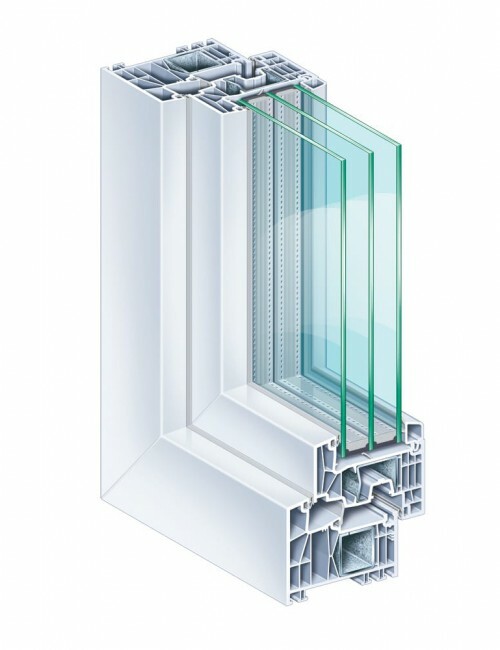 With 48 mm thermal insulation glazing and Chromatech Ultra F spacer – Ug = 0.6 W/(m2K) – the Uw value is 0.79 W/(m2K) and Uw, installed = 0.82 W/(m2K). 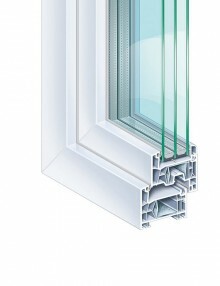 This system also sets an example from the ecological viewpoint – The KÖMMERLING brand is the first key producer in the world to manufacture profiles not only with regrinds in virgin window PVC-U, but also exclusively with lead-free PVC with “green” stabilisers based on calcium and zinc. Foaming makes exclusive use of eco friendly agents, and the foam and PVC can be separated cleanly from each other for recycling purposes. 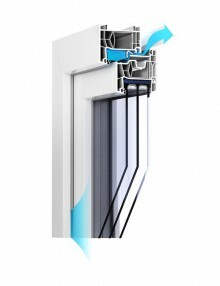 This guarantees that those who use KÖMMERLING products are also working to protect the environment.